Rugged and waterproof, these stylish leather and suede boots will be your go to winter boot. Lined with deluxe Australian Merino and built on a waterproof, durable rubber outsole, these EMU boots are designed to perform in cold, wet weather.. The Classic Short runs large and is available in whole sizes. Please order one size down from your normal size. If a half size, please order only 1/2 size down. Please be advised, boots are not made for snow and ice or heavy walking. 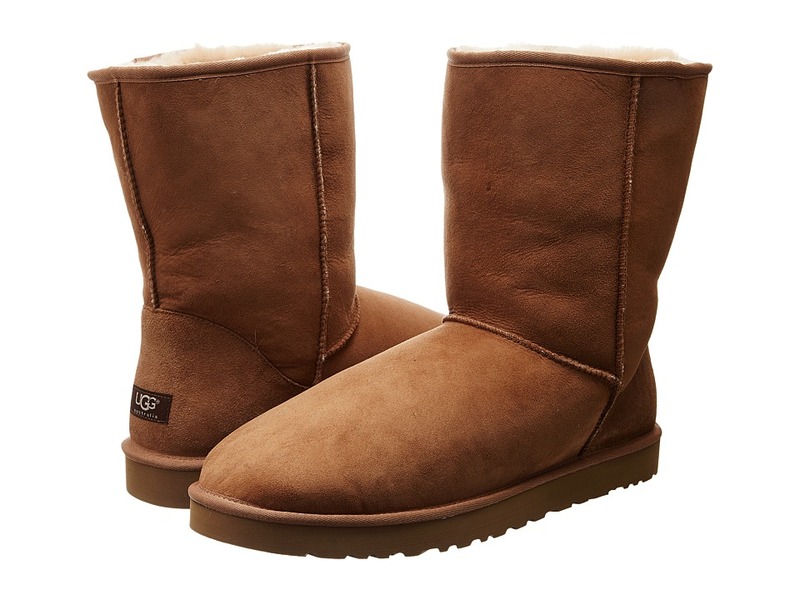 This UGG boot is built to be durable yet comfortable, rugged yet soft, and classic yet stylish. Experience the tension of the day release when you slip your feet into a pair of UGG Classic Short boots. The shorter height fits great under or over pants. Naturally water resilient. Precision craftsmanship is evident in the reinforced heel, raw seams and signature UGG label. Genuine 100 percent Merino Sheepskin from Australia. 100 percent Premium wool fleece. Genuine fleece sock liner for comfort and warmth. Wear without socks! Natural properties wick away moisture. Keeps feet warm to minus 30 degrees! Light and flexible EVA outsole. 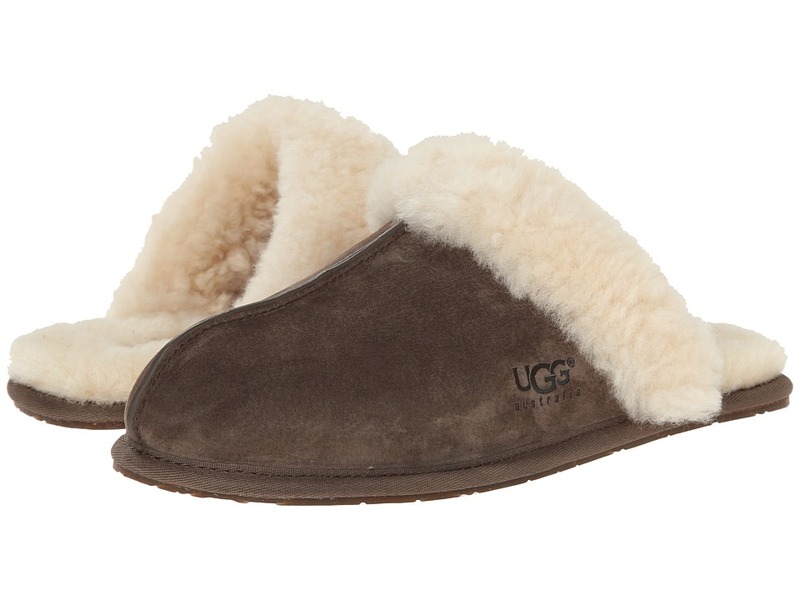 When you~re searching for UGG~s, rest assured that Zappos only carries the genuine UGG&amp#174 brand. Imported. Please Note: Slight dye transfer may occur with darker colored sheepskin during first few wears. This product contains real fur from Sheep or Lamb. Fur Origin: Australia, UK, Ireland or United States. Real Fur has been artificially dyed and treated. Measurements: Weight: 1 lb Circumference: 16 in Shaft: 9 in Platform Height: 1 2 in Product measurements were taken using size 10, width D - Medium. Please note that measurements may vary by size. Weight of footwear is based on single item, not the pair. A wonderful house or travel slipper with minimal, yet plush styling. Water-resistant Silkee suede uppers with a plush sheepskin collar. Center seam at vamp with a round toe. Easy slip-on style slipper. Soft and plush sheepskin linings. Cozy UGGpure wool footbed offers lasting comfort. Durable, cork-infused rubber outsole is suitable for indoor and light outdoor use. Please Note: Slight dye transfer may occur with darker colored sheepskin during first few wears. Imported. Real sheep fur or lamb has been artificially dyed and treated. Fur origin: Australia, European Union or United States. Measurements: Weight: 8 oz Product measurements were taken using size 9, width B - Medium. Please note that measurements may vary by size. Weight of footwear is based on single item, not the pair. This shoe runs big and is available in whole sizes only. Order one size down than usual and if between sizes, order 1 1/2 sizes down from your usual size (for example, if you wear a size 9 1/2, order a size 8). 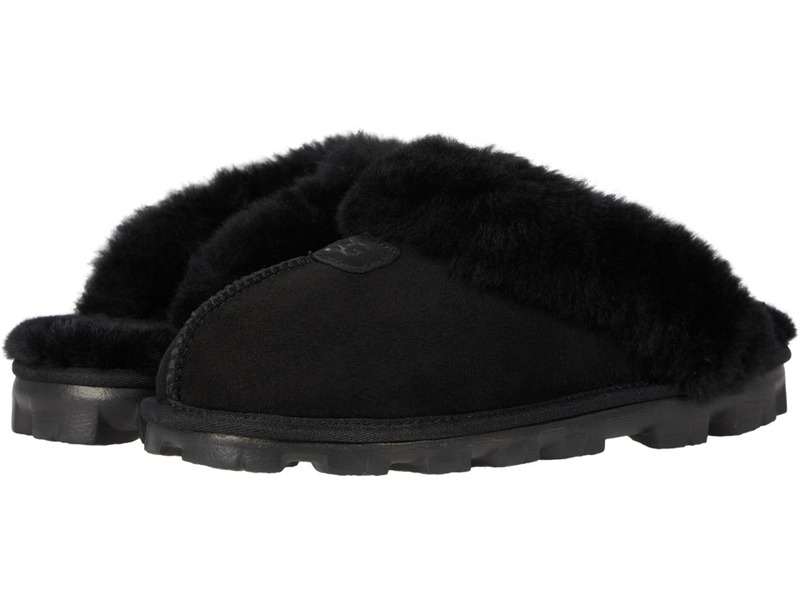 The Coquette embraces the essence of a slipper with the radiant style UGG is known for. Signature Twinface upper with a sheepskin cuff for a cute can cozy wear. 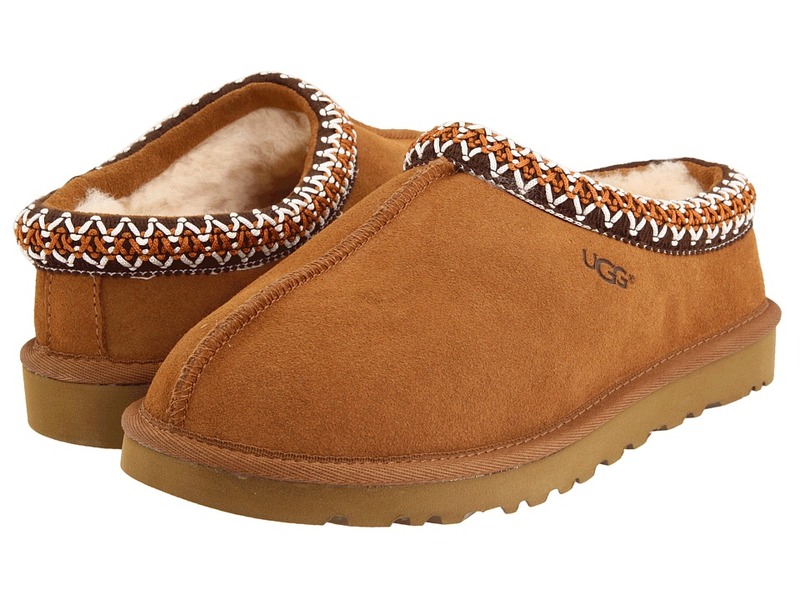 UGG signature Twinface sheepskin is treated on both sides to provide maximum softness and comfort. Durable nylon binding. Easy slip-on style. Luxurious shearling lining for comfort and warmth. Genuine sheepskin sockliner wicks moisture away and allows air to circulate, keeping feet dry. Treadlite by UGG outsole delivers traction control. Fit should be snug, but not uncomfortable. Footwear will give a little as fleece footbeds form to each individual~s foot. Please Note: Slight dye transfer may occur with darker colored sheepskin during first few wears. This product contains real fur from sheep or lamb. Fur Origin: Australia, European Union or United States. Real fur has been artificially dyed and treated. Imported. Measurements: Weight: 7 oz Product measurements were taken using size 7, width B - Medium. Please note that measurements may vary by size. Weight of footwear is based on single item, not the pair. The UGG Erin is everything your infant will need in a bootie and more. Soft suede uppers with a round toe. Ankle-high bootie. Adjustable hook-and-loop fastener at lateral side. Soft and cozy sheepskin linings keep feet warm. UGGpure wool-lined insole for breathability and warmth. Soft suede outsole. This product contains real fur from Sheep or Lamb. Fur Origin: Australia, UK, Ireland or the United States. Real Fur has been artificially dyed and treated. Imported. Measurements: Weight: 3 oz Shaft: 3 1 2 in Product measurements were taken using size SM (US 2-3 Infant), width M. Please note that measurements may vary by size. Weight of footwear is based on a single item, not a pair. Casual, yet rugged, classic slipper. Woven braid for retro fashion appeal. Sheepskin laminated to cow suede adds durability to uncompromised comfort. Genuine fleece sock liner for comfort and warmth. 100 percent Premium wool fleece. Easy on and off wear. Light and flexible EVA outsole. Please Note: Slight dye transfer may occur with darker colored sheepskin during first few wears. This product contains real fur from Sheep or Lamb. Fur Origin: Australia, UK, Ireland or United States. Real Fur has been artificially dyed and treated. Measurements: Heel Height: 1 1 8 in Weight: 10 oz Product measurements were taken using size 7, width D - Medium. Please note that measurements may vary by size. Weight of footwear is based on single item, not the pair. Comfortable Signature UGG style for the kids! Made from the highest quality sheepskin suede. Easy on/off that kids can do themselves. 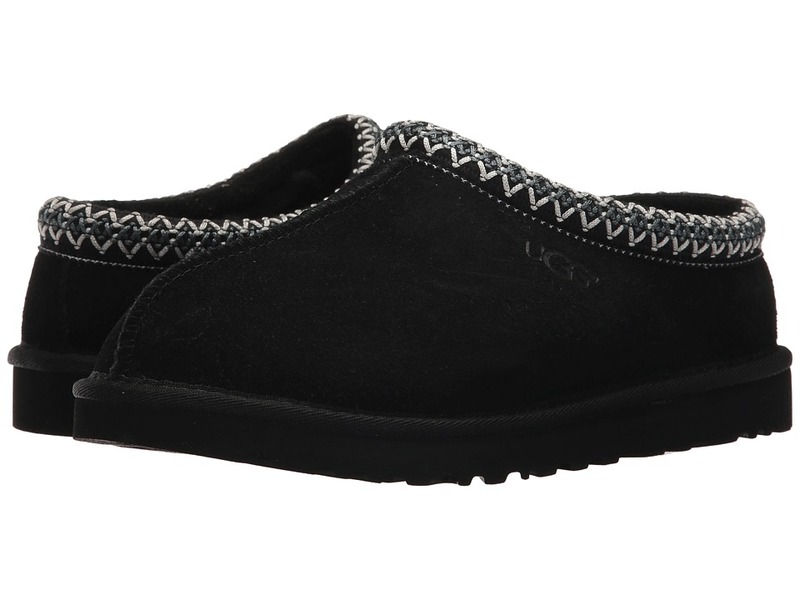 UGGpure lining and footbed for all-day breathability and cushioned comfort. You~ll never have a problem getting them to put their shoes on again! Molded EVA outsole. Imported. Real sheep fur or lamb has been artificially dyed and treated. Fur origin: Australia, European Union or United States. Measurements: Heel Height: 1 in Weight: 8 oz Circumference: 9 1 2 in Shaft: 6 1 4 in Platform Height: 3 4 in Product measurements were taken using size 13 Little Kid, width M. Please note that measurements may vary by size. Weight of footwear is based on single item, not the pair.